Express your love with PANDORAs sparkling love charm. 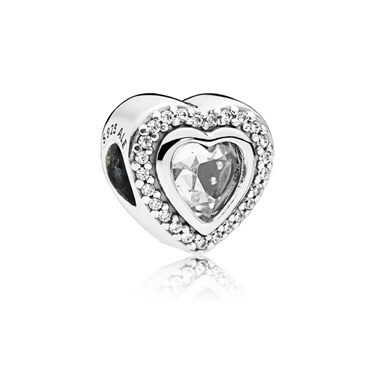 Crafted from sterling silver, this heart motif charm features a clear cubic zirconia centrepiece, surrounded by a dazzling border of smaller stones. The perfect gift for that special someone.